Adam Bennett's Spanish-inspired roast cod recipe is bursting with colour and flavour. 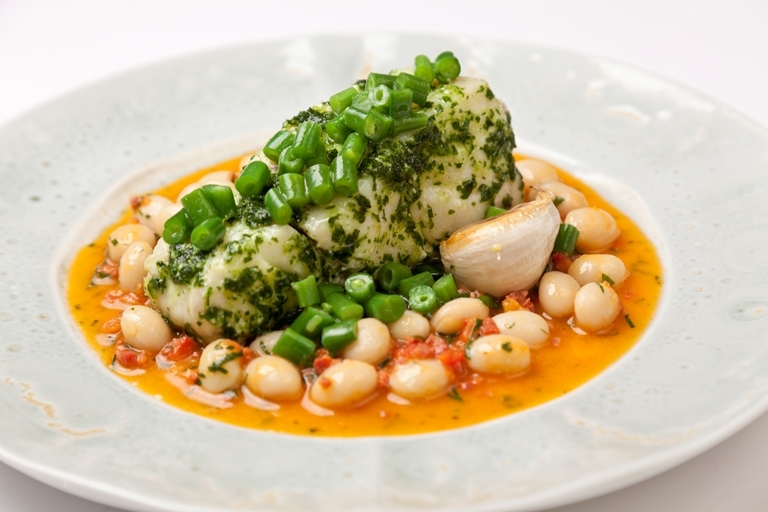 He serves the cod with a series of glorious accompaniments – white beans and chopped chorizo, confit plum tomatoes, green beans and confit garlic. Make sure you have plenty of good quality olive oil for the parsley oil used to finish this divine recipe.